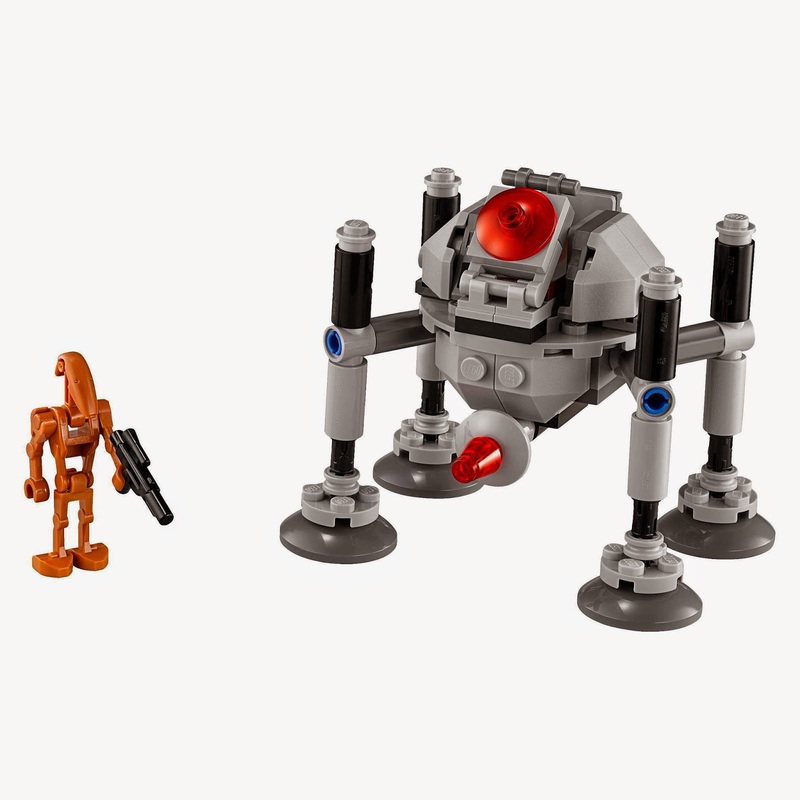 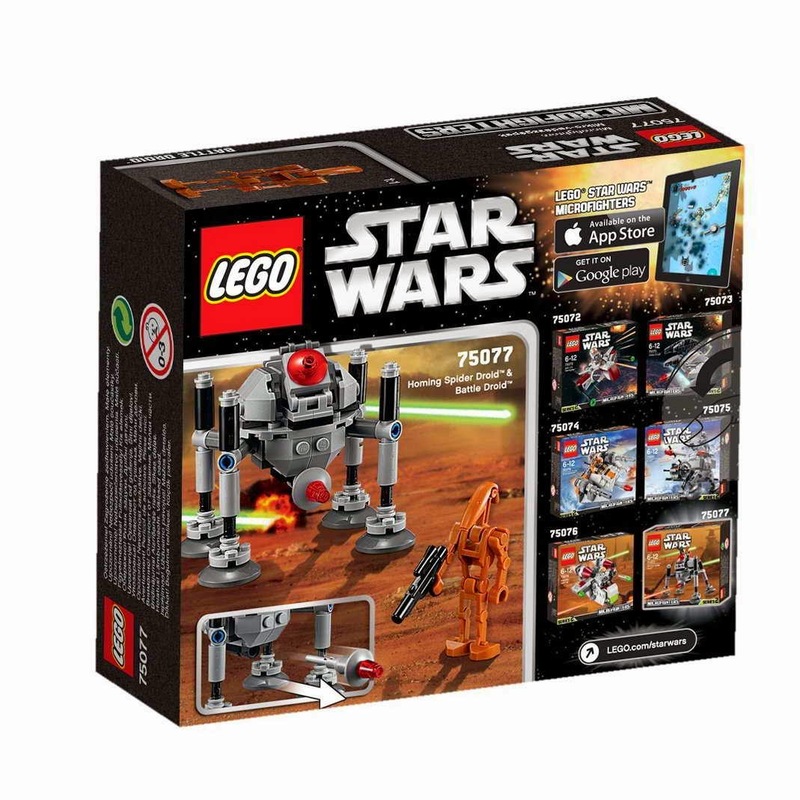 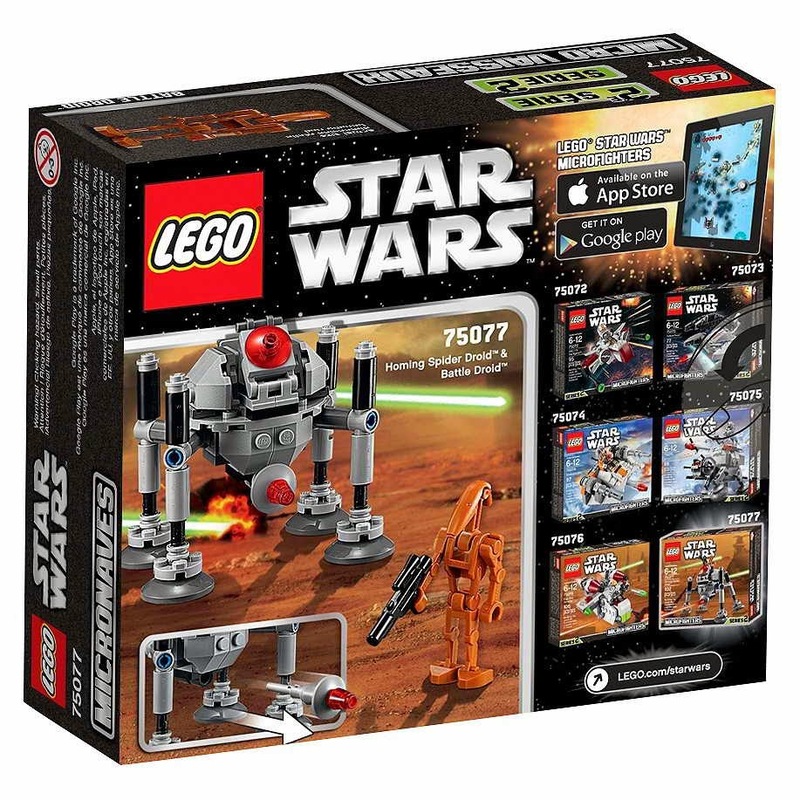 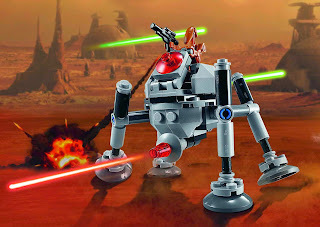 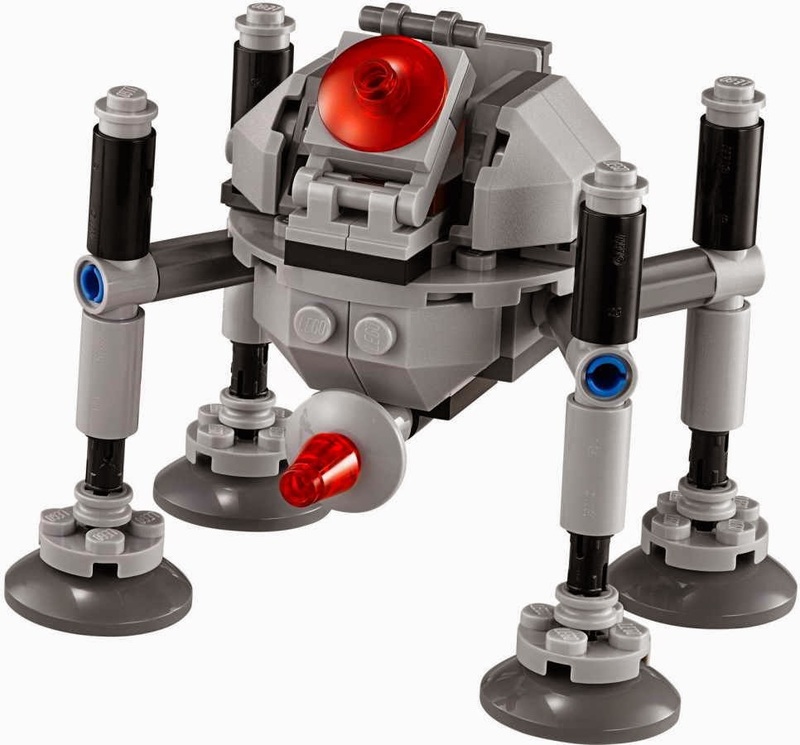 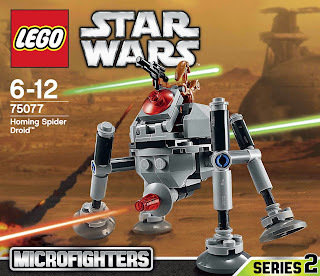 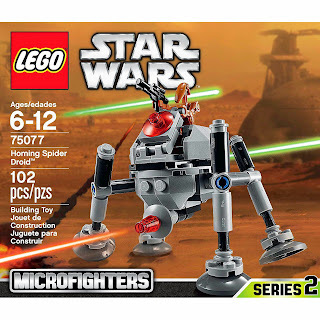 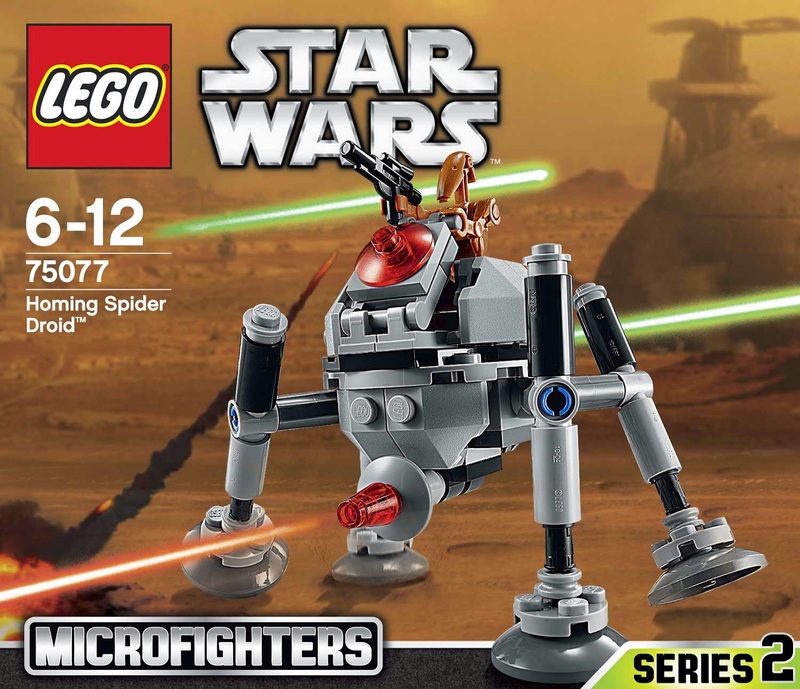 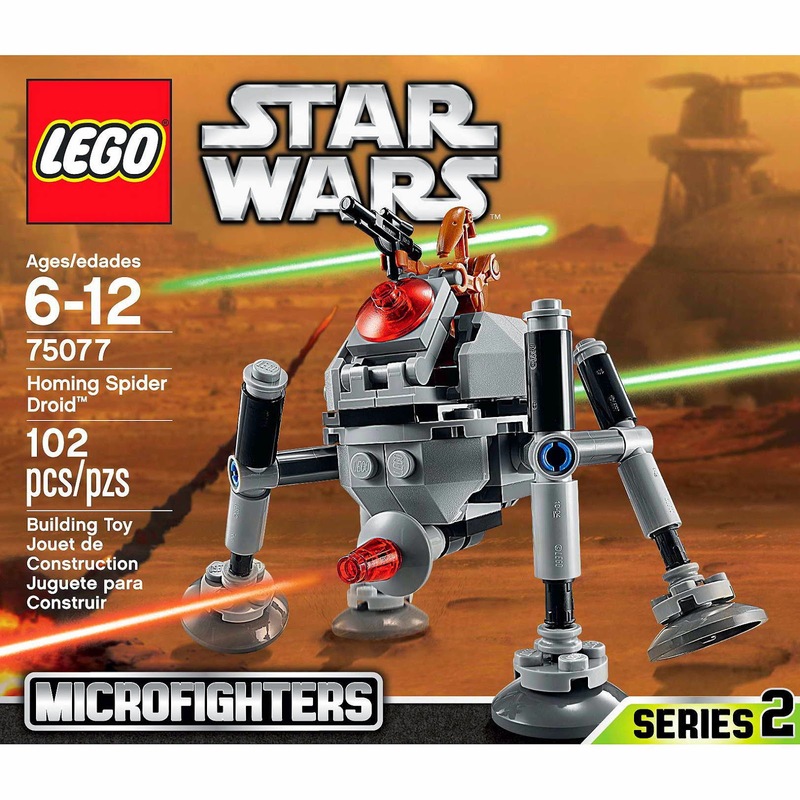 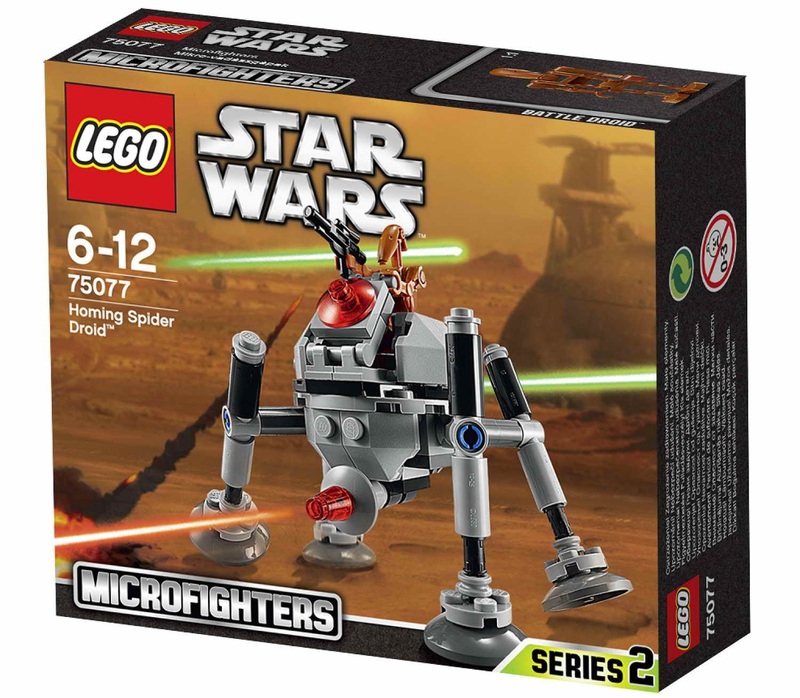 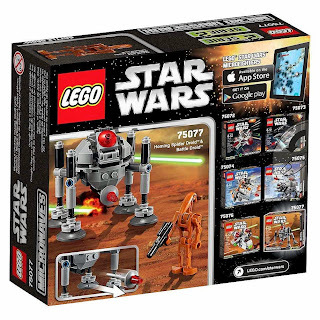 come with a homing spider droid micro fighter. 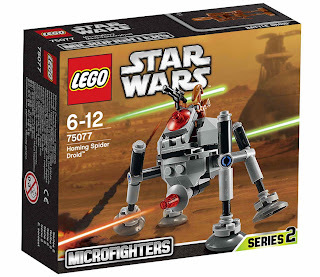 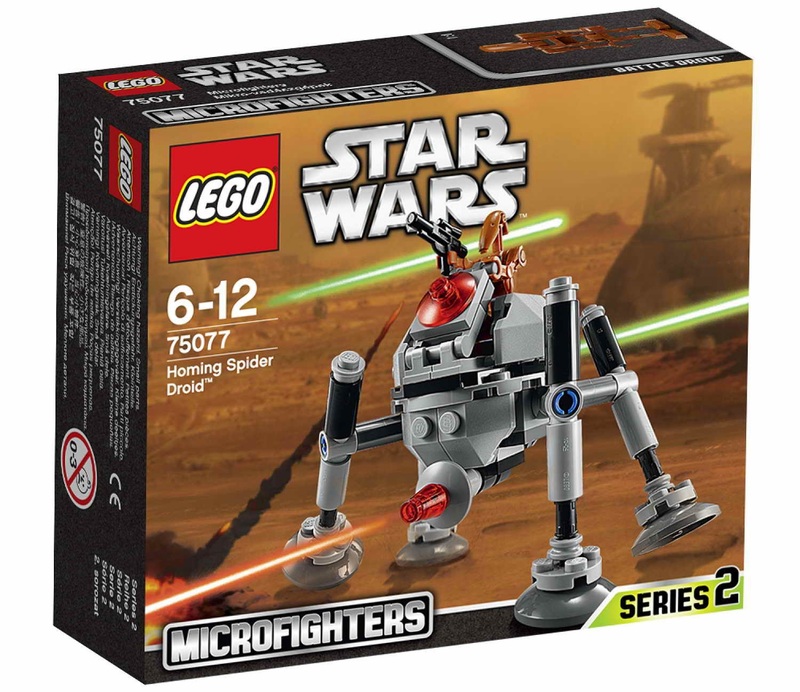 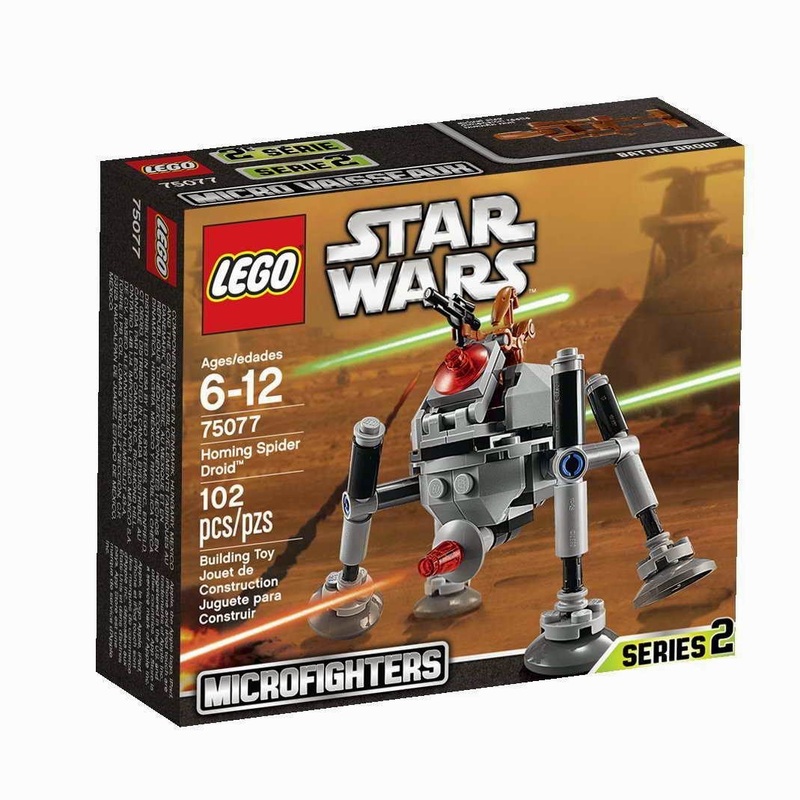 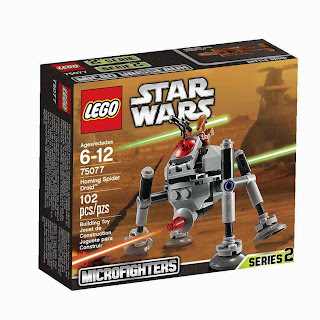 the micro fighter has a mini cockpit, a movable legs and a flick missile. 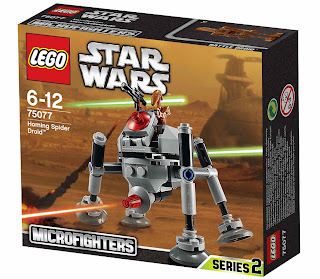 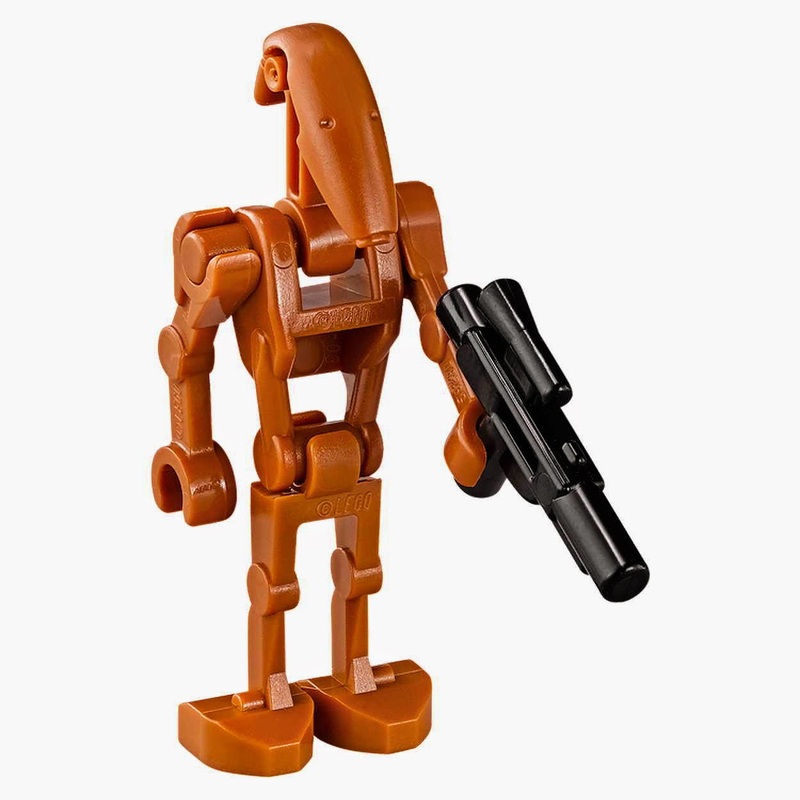 minifig included a battle droid minifig.